The iPhone X is shipping and you may already have one but the joke’s on you because a key feature in it is a big loser. There’s the title, and then Fortune adds two zinger lines because the situation is just that bad. The new Face ID on Apple’s iPhone X might seem cool, but the feature could wind up being a problem. So, before we even get to the article, we already have a lot of information on Face ID and the sum of that information is “ZOMG Face ID is so bad, y’all”. The Macalope is used to seeing the quote truncated to just what’s after the comma. How can Jobs just be “partly correct” with that qualifier before the comma? He was entirely correct. But, there are still radical innovations that people will scratch their heads over even after they have seen them. Yes, but “a lot of times” they don’t! Facial recognition is already available in other smartphones, tablets, and laptops, with varying degrees of successful implementation. The Face ID is claimed to be the most sophisticated among them, but it will still need further refinements and updates in the coming years to work flawlessly. That’s the bar? Flawlessly? 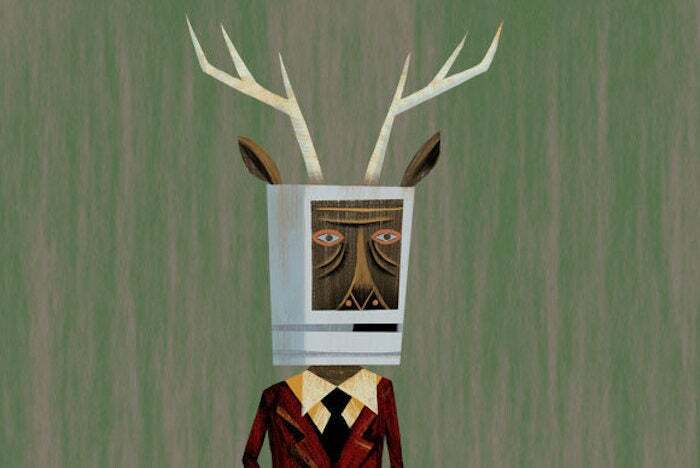 Because the Macalope is here to tell you, Face ID will never work “flawlessly.” Touch ID is great, incredibly useful and heavily relied upon, but it doesn’t work “flawlessly.” Try to imagine the same standard being applied to a Samsung phone. Go ahead, the Macalope will wait. Now, what is all this flimflammery based on? In other words, the same nonsense the Macalope’s been skewering for weeks with a dash of innuendo. If only there were some sort of name you could ascribe to the act of presenting a question as evidence of a problem. OH, WELL. In the introduction event, the Face ID unlocking demo did not work well, which ended up fueling the doubts. Now, you can believe Apple’s account of what happened or not, but not mentioning their explanation and just flatly saying it didn’t work well when the company says it worked exactly as it should have just shows you either didn’t bother to look up what happened or don’t care to accurately report it. But suppose all of these hurdles and negative perceptions on the technology are resolved in time. Yes, what if they fix all this stuff people are just making up?! Highly unlikely, of course, but… what if?! Well, then Choi thinks Face ID will be great for a whole bunch of nightmare scenarios. For one, the technology may be used to read subtle emotions, which can be applied to reading, watching, shopping, communicating, or finding new friends and significant others. Alas, Choi laments, dumb Apple won’t let developers have Face ID data. Chan works in “reported” like some artists work in oils. It’s like watching someone make a collage. A big, wrong collage. …the company will “sandbox” the new iPhone’s facial recognition capacity in a way that prevents app makers from harvesting biometric data. What a buzzkill! The Macalope knows some creatures who want you to give them your face. They’re all demons. With the Pandora’s box partially closed, it may be an uphill battle for the Face ID technology to become a must-have feature for future iPhones. Because if there’s anything people want it’s companies harvesting their facial expressions to find out if they’re happy or sad on a given day. Note, this is the same thing that Chan was earlier insinuating must be a problem because a U.S. senator was asking whether or not it could happen. Apple will let developers use the sensors on the iPhone X in a more limited fashion than Face ID uses them. But, no, the company will not share Face ID data with them, nor should it ever since that’s what’s used to unlock your phone. The amount of misinformation floating around on Face ID and misguided opining based on that misinformation would be astounding except, well, this is Apple we’re talking about. When a mythical beast can make a modest living talking about bad coverage, this is just par for the course.